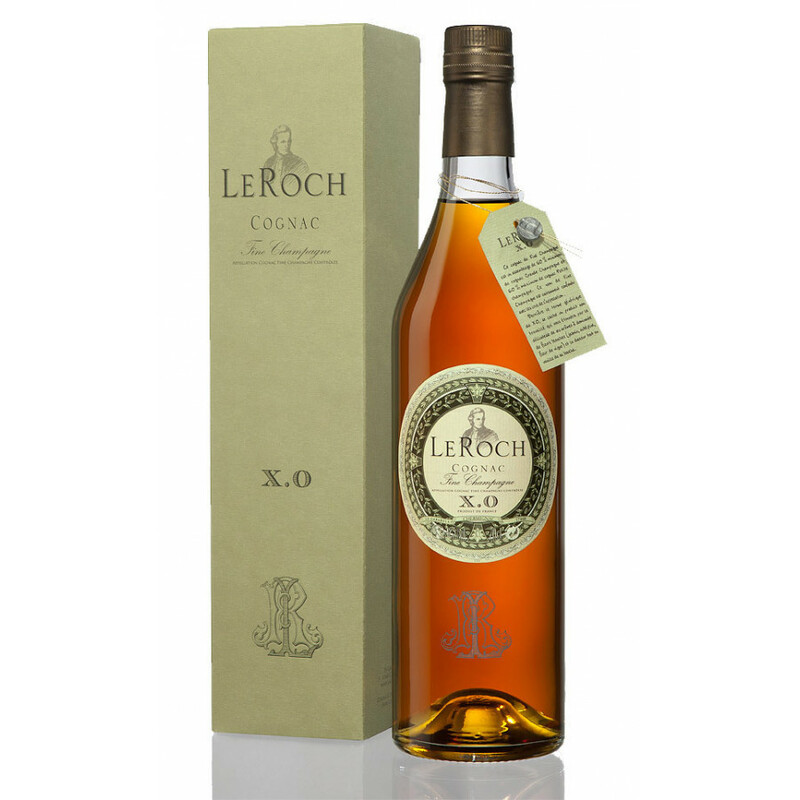 Le Roch XO Fine Champagne Cognac is a true delight from this, as yet, fairly unknown Cognac house. Le Roch is one of the brand names created by La Gabare (Jean Grosperrin), and produce a small range of great quality Cognacs. This XO is wonderfully aromatic, with a complex yet well-rounded palate. The nose thrills with smoky aromas of prune, cinnamon, and liquorice. On the palate it's silky, oily, and subtle, with no trace of bitterness. At 42.5%, this Cognac is slightly above proof, and all of the eaux-de-vie that make up the blend are from the Petite Champagne terroir. The Cognac is presented in a traditional style bottle, with a striking label, and a presentation sleeve. A great addition to any Cognac collection. I received this cognac for my birthday and I must say that I was perplexed since it was unknown to me. I usually drink Jean Fillioux. It was a present made by my son who, at 21, does not have great experience in alcohols. At least that applies to my son. Of course he sought counsel from the liquor vendor, but we know that they always recommend liquors that leave them a higher margin.All this said, I tasted this cognac with attention and I must say that I really enjoyed it. Color is absolutely beautiful, nose receives a wave of sensations, aftertaste is persistent and the whole drinking experience is a real pleasure. I have taken a look at the price and I feel that it is up to the quality offered by the producer. The bottle and the label are class and so is the box that comes with it. I wish the producer good luck with this cognac, which deserves to be offered not only to friends but to connaisseurs too.